(March 23): US stocks were higher in late morning trading on Thursday as investors snapped up beaten-down bank stocks, but remained cautious ahead of a vote on a healthcare bill that is seen as President Donald Trump's first policy test. Worries over Trump's ability to press ahead with his legislative agenda through Congress drove Wall Street on Tuesday to its biggest one-day loss since before the Nov. 8 presidential election. "There's been a lot of optimism regarding the Trump administration so this could very well be the first setback," said Erik Davidson, chief investment officer at Wells Fargo Private Bank in San Francisco. "What the market wants is to get through the healthcare question so that we can move on to tax reform." The S&P 500 has gained 10% since the election, spurred mainly by Trump's campaign promises to enact legislation that are seen as pro-business. At 10:51am ET (1451 GMT) the Dow Jones Industrial Average was up 29.76 points, or 0.14%, at 20,691.06, the S&P 500 was up 4.59 points, or 0.19%, at 2,353.04. 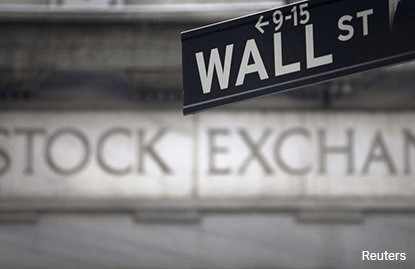 The Nasdaq Composite was up 10.06 points, or 0.17%, at 5,831.70. Eight of the 11 major S&P indexes were higher, with the financial index's 1.01% rise leading the advancers. The sector, which had its worst one-day fall since June on Tuesday, has risen the most since the election. Bank of America's 1.9% rise boosted the S&P, while Goldman Sachs' 2.9% increase helped lift the Dow. Oil prices dipped, struggling to recover from four-month lows because of investor concerns that OPEC-led supply cuts were not yet reducing record US crude inventories. Ford fell 1.1% to US$11.64 after the automaker said it would be less profitable in 2017 on a pre-tax basis, compared with a year earlier. Five Below rose 10.9% to US$42.27 after the retailer's quarterly earnings beat estimates. Accenture fell 3.5% to US$122.04 after the consulting and outsourcing services provider's quarterly profit slipped. Advancing issues outnumbered decliners on the NYSE by 2,051 to 691. On the Nasdaq, 1,859 issues rose and 744 fell. The S&P 500 index showed eight new 52-week highs and one new low, while the Nasdaq recorded 28 new highs and 27 new lows.